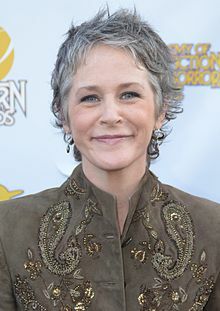 Melissa McBride (born May 23, 1965 near Lexington, Kentucky) is an American movie and TV actress and casting director. She has performed in many television programs and movies. She plays Carol Peletier in The Walking Dead. This page was last changed on 5 March 2015, at 06:53.